WVUA-FM is the radio station for The University of Alabama community. Found at 90.7 FM, it broadcasts 24 hours, 7 days a week, 360 days a year. 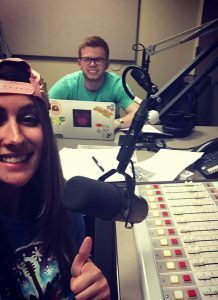 Student DJs play a mix of rock and roll during weekdays and specialty shows feature a variety of music, like jazz, hip hop and heavy metal, in the evenings and on weekends. News, sports, weather and talk shows round out the schedule.To have your music played on WVUA-FM, send it to WVUA-FM, Box 870170, Tuscaloosa, AL 35487 or email the music director.